Great news for those of you who prefer smaller, more cerebral gaming productions to the blockbuster Call Of Duty-style franchises that attract the lion’s share of attention in our modern era: Giant Sparrow’s The Unfinished Swan is now officially scheduled to hit the PlayStation Network Store on October 23 with a $15 price tag attached. For those suddenly wondering what The Unfinished Swan might be, we direct your attention to this detailed preview of the title we published in May. As the preview points out, The Unfinished Swan has garnered a massive amount of critical interest by being utterly unique, even among the wildly creative field of independent games development. Mechanically the game is not unlike most first-person shooters, but instead of slaying Nazis or blowing monsters apart, your ammunition is paint with which you coat the walls and structures of the world around your character. In doing so, you’re effectively finishing artwork left by your deceased mother. All told, the developers claim that this absent maternal figure left behind 300 unfinished paintings, so you can imagine that The Unfinished Swan will include a rather sizable amount of content on release. 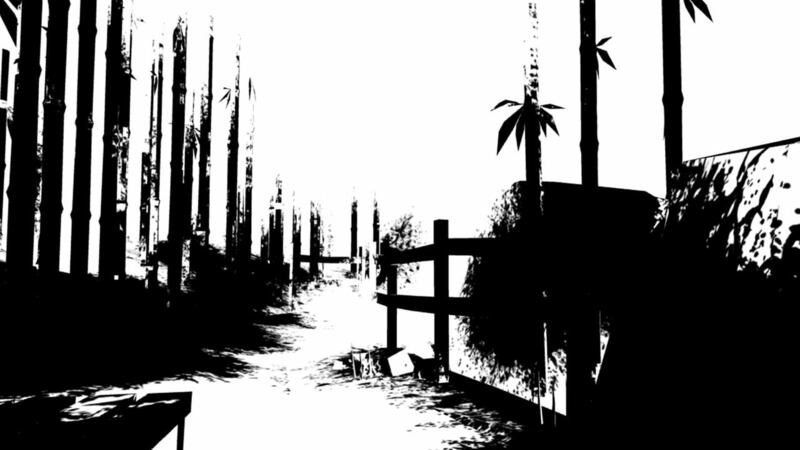 That said, the element of the game that immediately attracts most people is its stark, monochromatic aesthetic. Most levels/paintings begin as endless fields of white, that are eventually fleshed out by your trigger-happy application of giant globs of black paint. The end result, as you can see from the screenshot above, is a decidedly minimalist appearance that is both instantly accessible to average gamers, as well as those who keep their fingers hopefully crossed every time the hobby approaches that dubiously extant line between commercial video game development and fine art. Now, with all that said, it’s pertinent to remember that so far very few people have had a chance to sit down with the game for the amount of time necessary to form a useful reviewer’s opinion of the title. For all we know this could be another indie game that hinges entirely on a clever premise, but fails to deliver in other areas. While the public as a whole won’t really have a solid idea of how well The Unfinished Swan functions as a finished game until October 23, those of you with PlayStation Plus memberships will be able to download the game as early as October 16. As the game’s official blog points out, Sony has even prepped a PlayStation Network Store page for the release. Though it doesn’t really offer any new information on the game, the page does include a short trailer (which you can also find embedded below), as well as the typical bullet-point feature list you’d find on any game detailing the various elements players can expect to see once this game arrives on virtual store shelves.